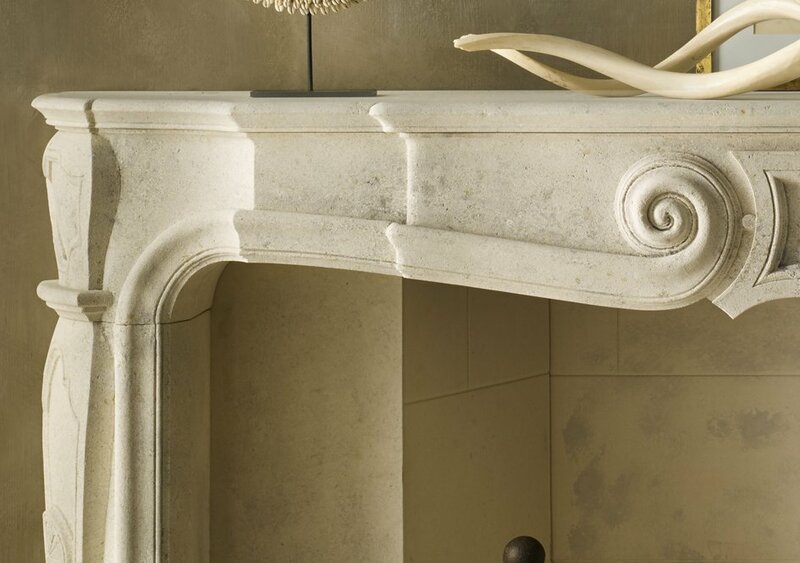 The graceful elegance and simplicity from the Voltaire takes its cues from that transitional moment in the early 18th century when a new interest in comfort and a natural reaction against the formality of Louis IV Versailles caused decoration and furniture to become increasingly light and curvaceous. 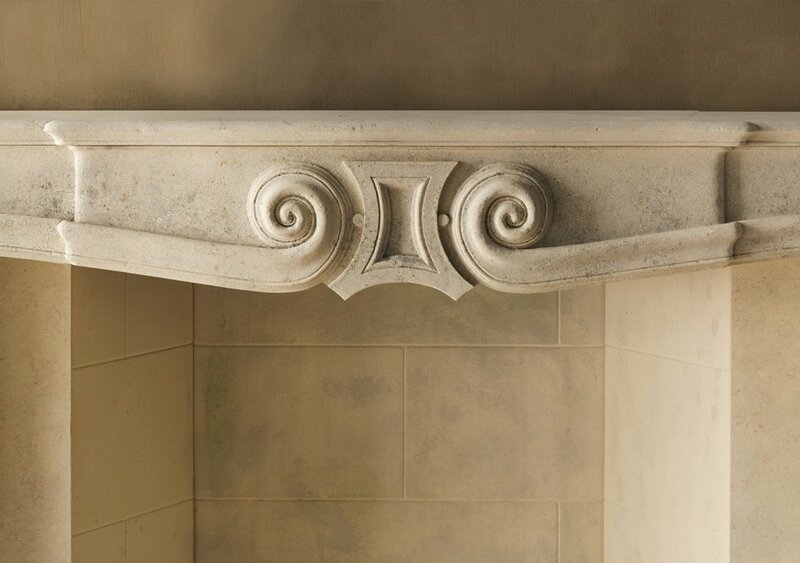 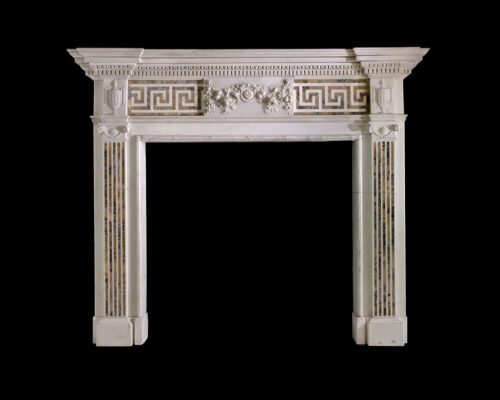 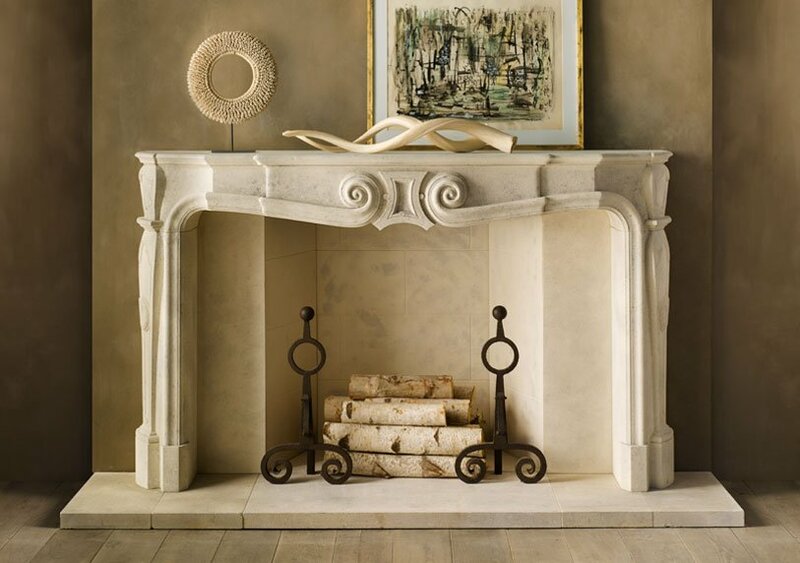 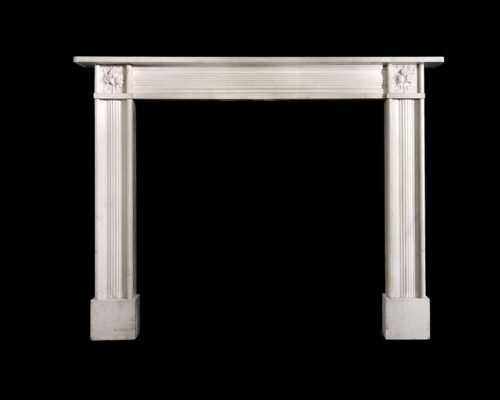 An elegant English regency chimneypiece in Italian Statuary marble with jambs on block plinths featuring crisply carved convex reeding bordered by raised rounded mouldings, the same detail is replicated in the frieze which sits beneath a reeded shelf. 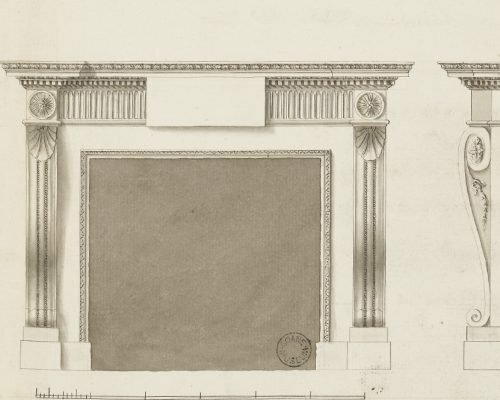 Designed in 1763 for Sir Edward Knatchbull, 7th Baronet, for the hall at Mersham-le-Hatch in Kent.